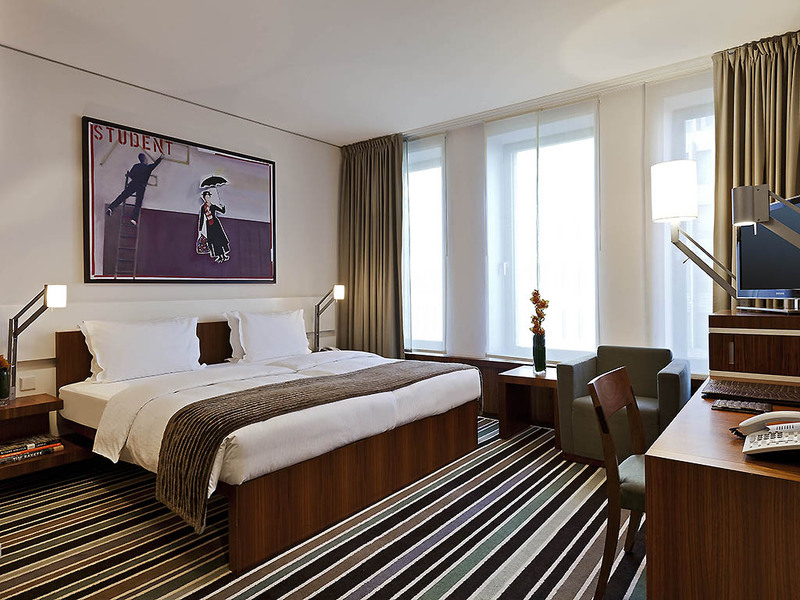 The Sofitel Berlin Kurfürstendamm is a 5-star hotel in the heart of Berlin with a touch of French elegance. r Wilhelm Memorial Church await you. Café Kranzler, KaDaWe, Berlin Zoo and the Theater des Westens are all within walking distance. The Deutsche Oper House and Charlottenburg Palace are also easily accessible. The elegant yet casual Restaurant Le Faubourg is reminiscent of the culinary hot spots in Paris. The award-winning architecture by Jan Kleihues has made the hotel into a landmark on the Kurfürstendamm. Life is Magnifique in Berlin.. The stylish rooms with fantastic views represent true savoir vivre. Discover an elegant and timeless architectural masterpiece, both on the inside and outside. 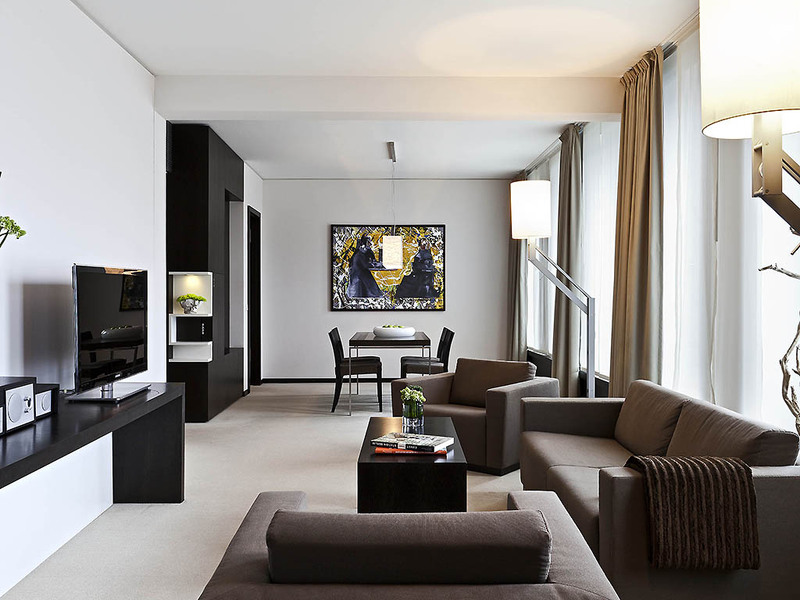 Berlin's most prestigious and striking boulevard, the Ku'damm, is located on the hotel's doorstep. 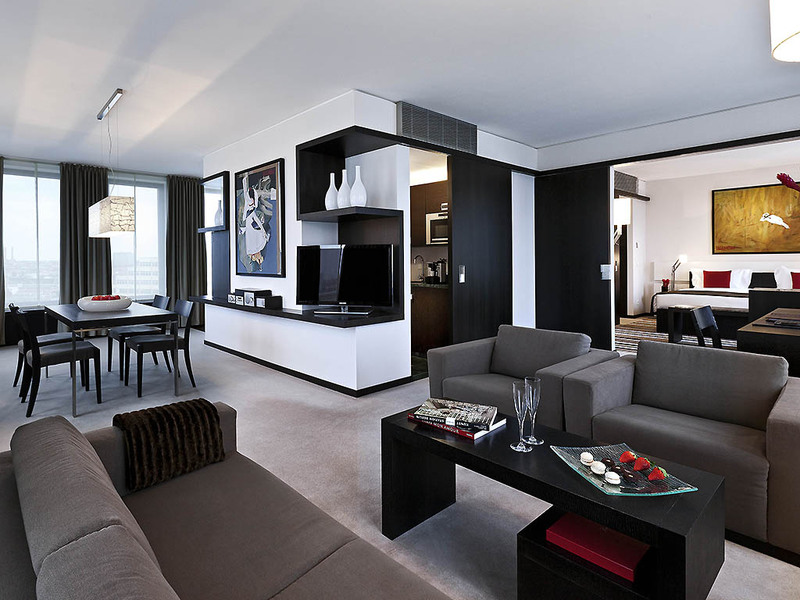 Every Sofitel is a unique blend of sophistication and the French art of living. 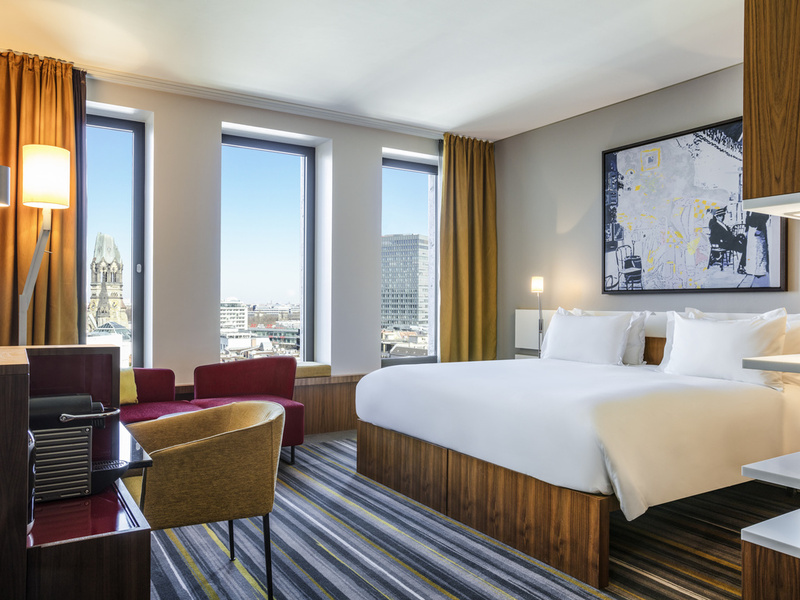 Located directly on the Ku'damm, Berlin's Champs-Élysées, the Sofitel Berlin Kurfürstendamm stands out as a distinctive landmark in the exclusive City West area. Architect Jan Kleihues' award-winning building is a timeless art-deco revival and the impressive, streamlined façade is a prominent landmark in the heart of Berlin City West. With 11 towering floors, it offers unique views of Berlin. 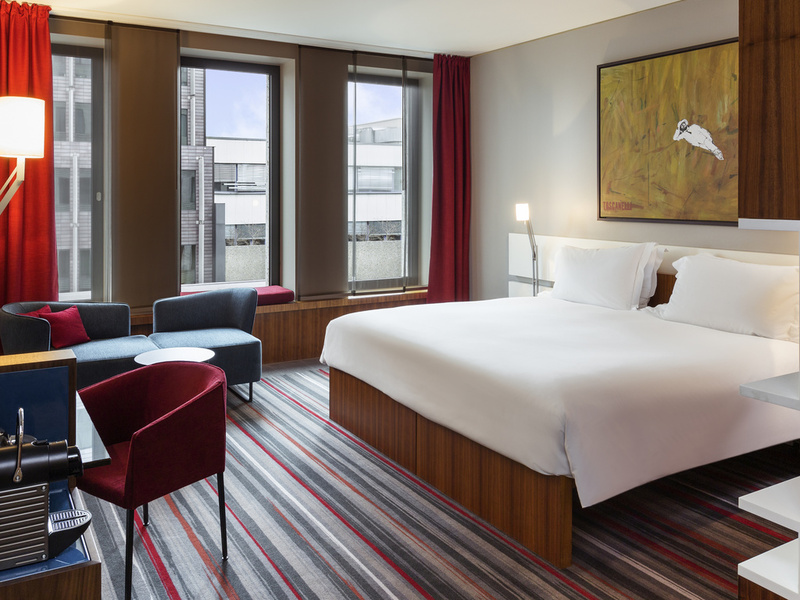 With a unique fusion of art, architecture and design, the hotel embodies the Sofitel philosophy of "Life Is Magnifique". Luxury lies in every detail. The food and ambience of the Le Faubourg restaurant lend the location a French flair. The clear lines of the lobby form a perfect backdrop for contemporary art. Discover works such as the portrait series "Faces of Berlin" from the comfort of a Bauhaus-style armchair. Warm colors and thoughtful design create a sophisticated ambience. On the banks of the Spree, Berlin stretches in an architectural maelstrom inherited from its rich and unique history. Between its street art, underground scene and numerous parks, the cultural dynamism of the German capital will surprise and intrigue. 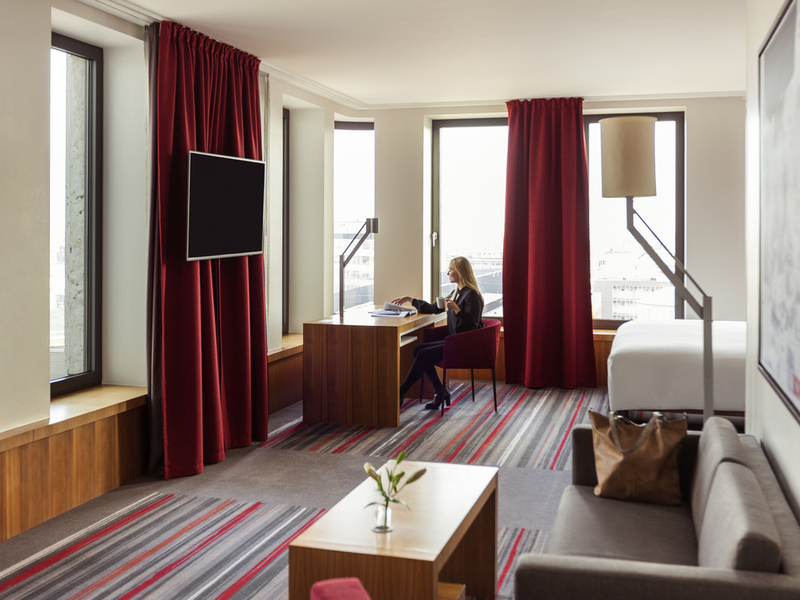 Explore the prestigious Kurfürstendamm and the Charlottenburg district in Berlin's city center from the hotel. Enjoy a coffee in Café Kranzler and visit the Kaiser Wilhelm Memorial Church, KaDeWe and the Berlin Zoological Garden. The hotel is located in the city center close to the Kurfürstendamm U-Bahn station and just a five-minute walk from the Zoologischer Garten station with S-Bahn and express bus X9 to Tegel airport. The airport is a 20-minute drive away by car or taxi. 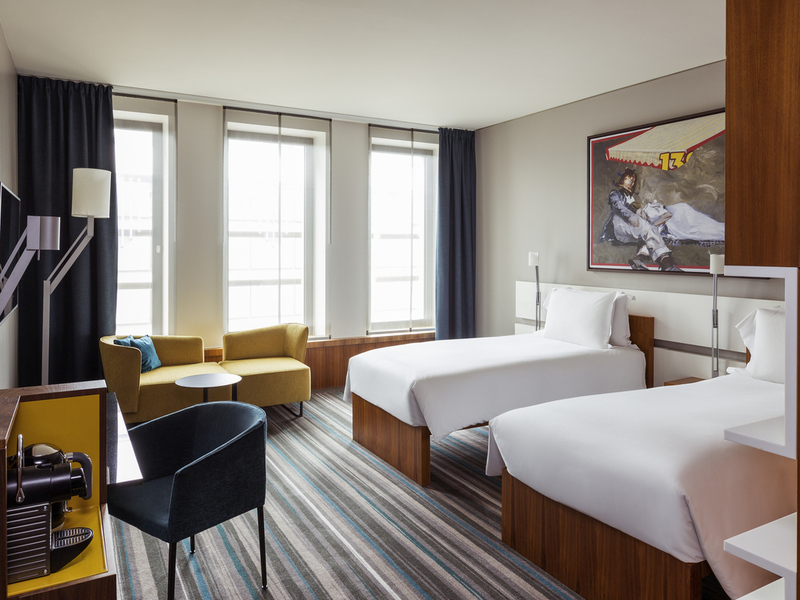 Featuring separate living areas, custom lighting by Jan Kleihues and art by Toscanelli, the hotel's 44 spacious, contemporary suites will make you feel instantly at home. Some offer magnificent views over Berlin and exclusive access to Club. 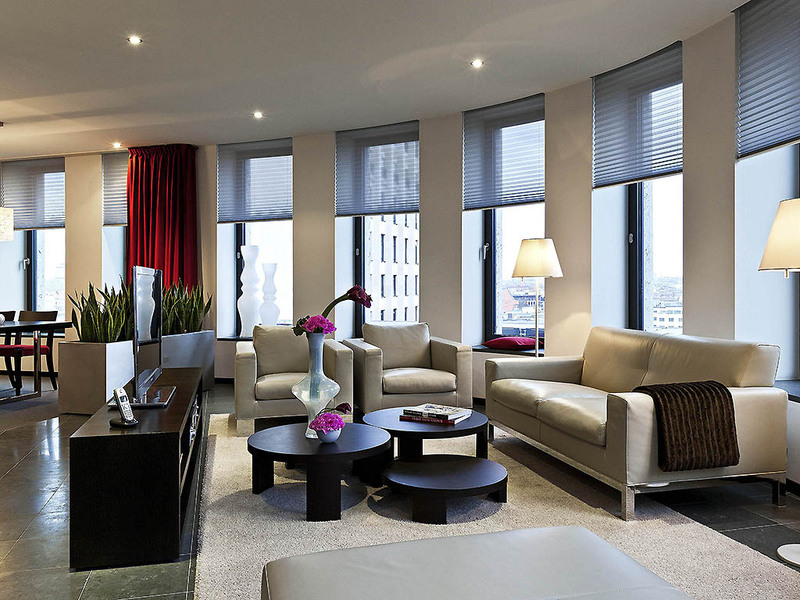 A magnificent private lounge on the 11th floor overlooks Berlin's Kurfürstendamm. Guests of Luxury Club Rooms and Junior, Prestige and Opera Suites enjoy private check in and check out, a delicious continental breakfast and drinks and snacks all day. Enjoy innovative French dishes in casual yet chic surroundings at the Le Faubourg. From breakfast to afternoon tea and cocktails, the Sofitel Berlin Kurfürstendamm is sure to please lovers of fine cuisine. With its elegant decor and designer furniture, the bar lounge is an ideal meeting place. Relax with a book, a cup of tea and a French pastry on one of the comfortable sofas in our library. Traditional or modern? Bon appétit! Enjoy classic French cuisine or contemporary dishes with innovative touches. The Bauhaus-style Le Faubourg bar lounge is a relaxing spot for drinks and snacks. At Le Faubourg, our sommelier will help you to make a selection from our hand-picked wines. Spectacular receptions, movie awards and art shows take place in the ballroom, flooded with natural light from windows on both sides. It can host up to 350, but wooden floors, mirrors and a private foyer give this chic Berlin venue an intimate feel. Your dedicated meetings concierge will organize everything from tailor-made coffee breaks and banquets to high-tech audiovisual equipment. With free Wi-Fi and a business center, you will have everything you need for a successful event. A unique, art-filled wedding venue in Berlin, where celebrations are tailor-made in magnificent surroundings. Hold a reception in the spectacular wood-floored ballroom and spend your wedding night in the Opera Blanche honeymoon suite overlooking Berlin. After a busy day in Berlin, unwind in the hotel spa with its complimentary sauna and steam room. An innovative foot bath soothes tired feet, and expert therapists offer treatments from massages and lymph stimulation to foot reflexology. 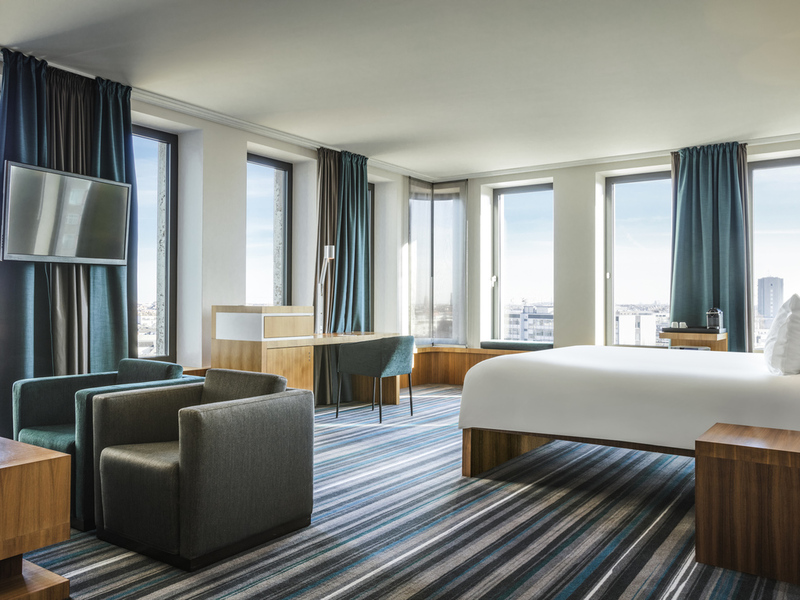 With an emphasis on personal service, Sofitel Berlin Kurfürstendamm offers Clefs d'Or concierges, 24-hour room service and a range of facilities for families. Parking, airport transfers, limousines and taxis are easily arranged. Enjoy complimentary access to a spacious gym, where the latest cardio equipment and free weights offer an invigorating workout. If you prefer a morning jog around central Berlin, you can pick up running route maps, water, apples and towels at reception.